Lieutenant James Pigue from Tennessee is also buried there. He was killed on July 18, 1918, presumably leading his men out of the trench. In 1921 Pigue's father traveled to Belgium to visit his grave and after being assured by the British authorities that they would "care for the grave in perpetuity" he asked that his son's body not be disturbed. 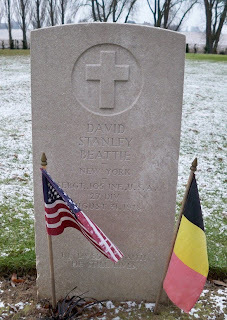 y other American graves and didn't know what to make of that bit about his brother Reggie.